The importance of an effective maintenance program cannot be overlooked because it plays such an important role in the effectiveness of process of manufacturing. The cost of regular maintenance is very small when it is compared to the cost of a major breakdown at which time there is no production. Therefore CBM offers a wide range of Maintenance Tools and equipment that supports to preserve the smooth business operation of our customers. FAG Maintenance products range comprises tools for the mechanical, hydraulic and thermal mounting and dismounting of rolling bearings. Mechanical tools are used predominantly for smaller bearings. Medium-sized and large rolling bearings are mainly mounted and dismounted using hydraulic or thermal tools. 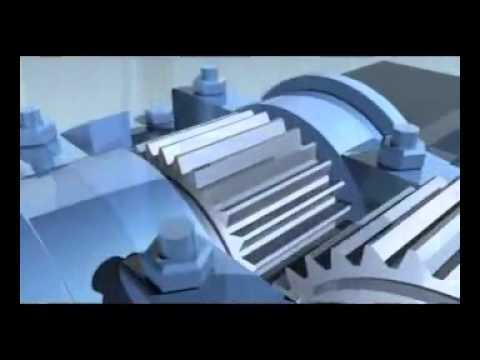 Further, tools & equipment for Lubrication, Alignment tools, Condition monitoring. A mounting tool set contains mounting sleeves made from aluminium and mounting rings made from plastic. An error frequently made during mounting is to transmit the mounting forces through the rolling elements and raceways. 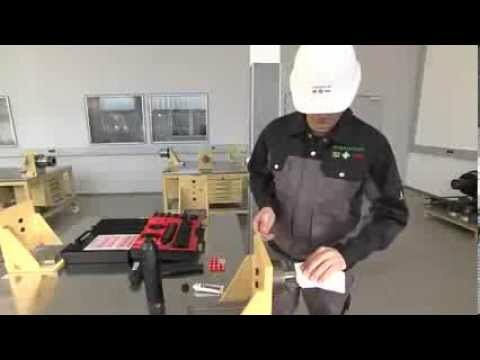 This error can be avoided by driving the inner ring onto the shaft or driving the outer ring into the housing by applying hammer blows to an appropriate mounting sleeve. The carefully matched precision parts ensure that the forces are uniformly transmitted to the side faces of the bearing rings. Also available as individual parts.The mounting tool sets are suitable for the simple mounting of rolling bearings up to 50 mm bore. They can also be used for the mounting of sleeves, intermediate rings, seals and similar parts. 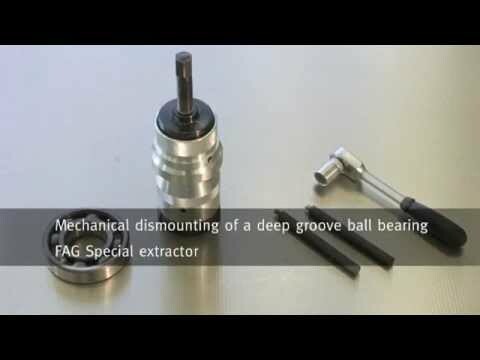 Mechanical extractors can be used to dismantle small and medium sized rolling bearings that are located with a tight fit on a shaft or in a housing. The bearing can be dismantled without damage if the extractor is in contact with the tightly fitted bearing ring. In the case of mechanical extractors, the extraction force is normally applied by means of threaded spindles. Two-arm and three-arm extractors are used for the extraction of complete rolling bearings or tightly fitted inner rings. The two-arm extractor PULLER-2ARM and three-arm extractor PULLER-3ARM can also be used to extract other parts such as gears. The induction heating devices HEATER for bearings up to a mass of 1200 kg have been improved further in terms of their performance capability and safety compared with their predecessors. They can also be used to heat sealed and greased rolling bearings. 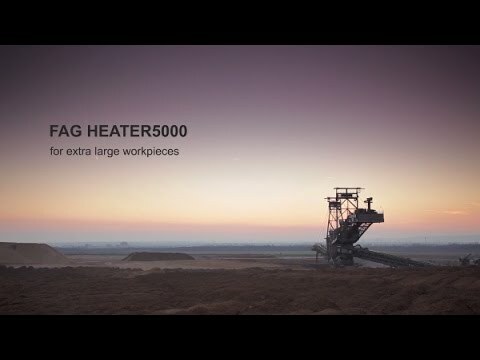 In addition to the tabletop devices HEATER10 to HEATER300, the range also includes the standalone devices HEATER600 and HEATER1200 for larger rolling bearings. HEATER300 can also be converted to a mobile unit by means of accessories. 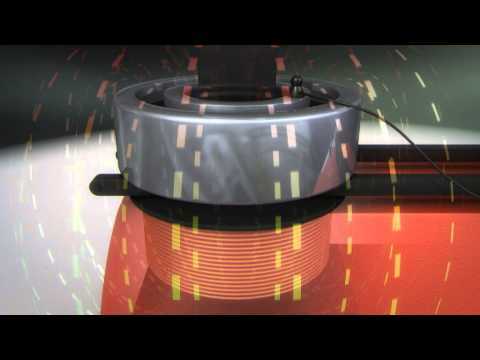 The scope of delivery of the induction heating devices HEATER covers a basic setup for the initial applications. The rolling bearing to be heated is either placed orizontally on the support rails or is suspended on the ledge. Three-section extraction plates PULLER-TRISECTION can be used with hydraulic and mechanical extractors. These allow the extraction of complete bearings, tightly fitted inner rings and other components. The load capacity and extraction force are precisely matched to each other. The extraction claws grip directly under the screw studs of the extraction plates and give uniform distribution of force. Even where parts have a tight fit, there is no tilting or bending. The high extraction forces are concentrated on the bearing inner ring. In general, the bearing and shaft remain intact and can be used again. The extraction plates can be fitted under the bearing with just a few movements. The hydraulic extractors, are used where higher extraction forces are required. 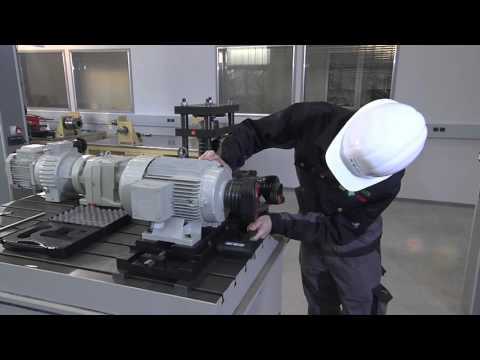 These devices allow rolling bearings, gears, sleeves and many other shrink fitted parts to be quickly and easily dismounted. For larger grip depths, longer extraction arms are available (accessories). Operating personnel can be protected by means of a safety grid or a safety cover. The advantageous features of hydraulic extractors are as follows: Parts under mechanical load are made from high quality chromium-molybdenum steel, the smooth-running piston is made from chromium plated, hardened and tempered steel. Further, stroke travel adjustable by means of standard adapter and screw thread for setting of optimum grip depth. Other benefits include, simple centring by spring-loaded steel cone, optimum operating position due to rotatable pump hand lever or separate pump and simple conversion to two-arm operation if there is insufficient space for three arms. The hand pump PUMP1000-0,7L has an oil container with a volume of 0,7 l. The maximum pressure is 1000 bar. A digital manometer is available as an accessory. The twin stage pumps, have a high delivery rate up to 50 bar and then switch automatically to the high pressure stage. This gives a high work rate. Where there is an increased oil requirement, the twin stage pumps are available with a 8 l oil container (suffix 8L). In those cases where the type of installation of the adapter or withdrawal sleeve requires a separate oil supply, a two-way valve is available (suffix D). For pumps with an oil pressure of 1000 bar and a connector, digital manometers are also available as accessories. The hand pump PUMP1000-4L-CONTROL is particularly suitable as a pressure generation device where rolling bearings are to be driven onto their tapered seat using a hydraulic nut. First, the bearing is driven smoothly onto the tapered seat as far as the initial position. A suitable hydraulic nut is then screwed onto the shaft and the hand pump is connected. The hand pump is then operated until the pressure to reach the start position is achieved. The pump is then operated further to drive the bearing by the required drive-up distance and thus achieve the final position. FAG Top-Laser SMARTY2 is a line laser for the alignment of belt pulleys and chain sprockets with a diameter larger than 60 mm.Alignment of belt pulleys and chain sprockets reduces wear and energy losses in traction drives and the associated bearings and seals. Less heat is generated and the running time and reliability of the machinery is increased. The laser beam can be clearly seen on the target marks. Once the laser beam is adjusted to coincide with the slots in the target marks, the machine is correctly aligned. The target marks are available in optical and electronic versions. In the case of electronic target marks, the adjustment values are shown in the digital display in real time. Misalignments are presented in degrees, the parallelism offset is presented in mm. Before measuring the belt tension, the belt mass and length must be entered. Vibration of the belt is then induced. The device measures the natural frequency by means of clock pulse light and uses this to determine the belt tension. This technique is less prone to disruptive influences in comparison with measurement sound waves. The FAG Top-Laser EQUILIGN is an alignment system for coupled and decoupled shafts in motors, pumps, ventilators and gearboxes with rolling bearings.All the parts of the shaft alignment device are supplied packed in a case. A comprehensive range of accessories is available in order to expand the possible applications of the base device FAG Top-Laser EQUILIGN. The accessories can be ordered as a set in a handy, robust case or as individual parts. The advantages of the system are as follows: simple mounting, error-free handling even by untrained personnel using step-by-step display on the manual control device, automatic tolerance checking, a symbol indicates when the shafts are correctly aligned, more precise alignment than with conventional methods, rapid, simple measurement by means of Active Clock measurement mode, robust control device. watertight and insensitive to contamination in accordance with IP 65, user interface in 20 languages, easy generation of reports and real time display of displacement in all axes. Before alignment is carried out, any soft foot must be eliminated. FAG Top-Laser EQUILIGN clearly indicates the soft foot. Each individual foot screw connection is loosened and the device is monitored to see if it displays any changes between the foot screwed firmly into place and the loosened foot. The soft foot can then be eliminated using shims. This eliminates any tendency towards vibration and bearing damage as a result of housing deformation. During measurement, at least three positions are approached at different angles. These must be measured at an angle of at least 90°. The intelligent control system prevents incorrect usage here. The actual condition of the subassembly is then displayed. Shims FAG Top-Laser SHIM are used to eliminate vertical misalignment or soft feet. These shims are made from corrosion-resistant alloy steel and are available in seven thicknesses (0,05 mm, 0,1 mm, 0,2 mm, 0,5 mm, 0,7 mm, 1 mm, 2 mm) and in four sizes (dimension c = 15 mm, 23 mm, 32 mm, 44 mm). As replacement parts, we can supply 10 shims each in one of the 4 sizes and one of the 7 thicknesses stated above. 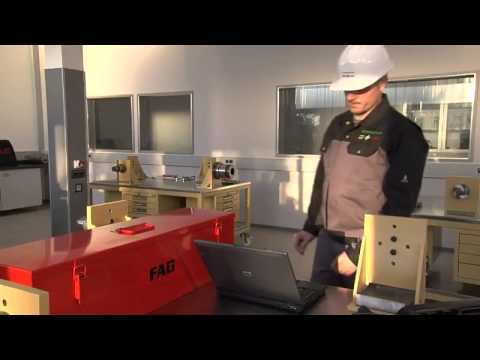 FAG Detector III is a handy, easy to use vibration measuring device. 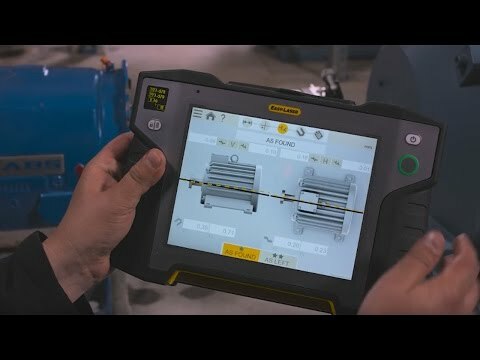 Due to preinstalled standard configurations in accordance with DIN ISO 10816, this is a plug-and-play solution allowing early and authoritative information on the condition of machinery, entirely without time-consuming training or system configuration work. 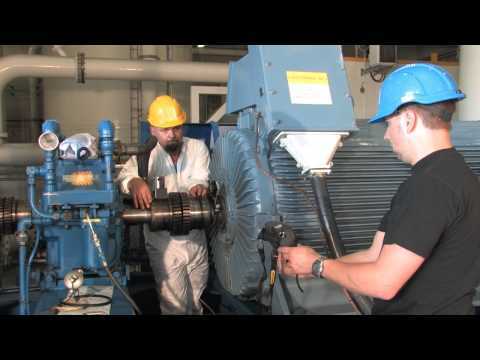 This allows, for example, rapid inspection of ventilators, pumps, electric motors, compressors or vacuum pumps. All the user must do is start the measurement process by pressing a few buttons and wait until it is completed. The device evaluates the measurement results and presents the results, with self-explanatory symbols, on the device display. The system also has the following features: of; non-contact temperature measurement, speed detection, route function and report generator. FAG SmartCheck is a compact, innovative, modular online measuring system for continuous monitoring of machinery and process parameters on a decentralised basis. It can be used on assemblies where such monitoring was previously too cost-intensive. FAG SmartCheck - Vibration Sensors on Every Machine, Vibration monitoring does not have to be complicated – as proved by the FAG SmartCheck! As a flexible solution, it adjusts to your demands and reliably fulfils even complex requirements. Vibration monitoring does not have to be complicated – as proved by the FAG SmartCheck. As a flexible solution, it adjusts to your demands and reliably fulfils even complex requirements. FAG SmartCheck is suitable, for example, for early detection of rolling bearing damage, imbalances and misalignments on: electric and geared motors,vacuum and fluid pumps, ventilators and fans, gearboxes and compressors, spindles and machine tools and separators and decanters. FAG DTECT X1 s is a flexible online system for the monitoring of rotating components and elements in the machinery and plant industry. Typical applications can be found, for example, in the steel, raw materials, paper and marine industries. The system gives early, reliable detection of possible damage and thus helps to prevent unplanned and expensive downtime. This reduces the risk of possible production shutdowns. As a result, the capacity utilisation of machinery and plant is increased. The system can be tailored to customer-specific requirements by means of the software. The base device is available as an 8 channel system. The system is suitable for connection of all conventional acceleration, speed and travel sensors.Due to its compact size and robust housing (class IP 67), it is suitable for a wide range of monitoring applications. It has standardised connectors allowing easy installation on machinery and plant. FAG WiPro s allows online monitoring of wind farms – onshore and offshore. The system gives early and reliably detection of possible machine damage. This helps to prevent unplanned downtime and expensive secondary damage. Due to its small size, it can easily be accommodated in small spaces such as the nacelle of a wind turbine. FAG WiPro s is equipped with a signal processor and evaluates all measurement signals internally. Due to the intelligent linking of expert knowledge with information from the turbine, it is possible to keep the transferred data volume very small. This is particularly important where a large number of turbines must be continuously monitored over a long period. Any wind farm can be networked using the system, whether the turbines are connected using copper cables, fibre optics, ISDN or analogue lines or even if no telephone connection at all is present. FAG ProCheck is an online monitoring system. It can be used to prevent unplanned downtime and for quality control. The system offers a high level of functionality and is available in a range of variants – from an 8 channel to a 16 channel system. FAG ProCheck continuously records data on vibration, temperature and other process parameters and subsequently carries out their evaluation. As a result, incipient damage and its causes can be detected at a very early stage and the appropriate countermeasures can be introduced in good time. This gives a considerable reduction in operating costs. In addition, FAG ProCheck offers the possibility of correlating a large number of analogue and digital input and output signals to the vibration data. These channels also allow simple communication with higher level systems such as process control systems. Due to its extremely robust and compact design, this system is ideally suited for use in almost all industrial segments. The system can be used in steelworks, paper machinery, cement plants or in the oil and gas industry. Easy-Laser® is one of the world’s leading manufacturers and suppliers of laser measurement systems for industry with a high requirement for accuracy and operational reliability. Together with our distributors, we supply users in more than 70 countries with solutions for all types of measurement and alignment needs: Shaft alignment, sheave/pulley alignment and geometrical measurements of virtually every kind. 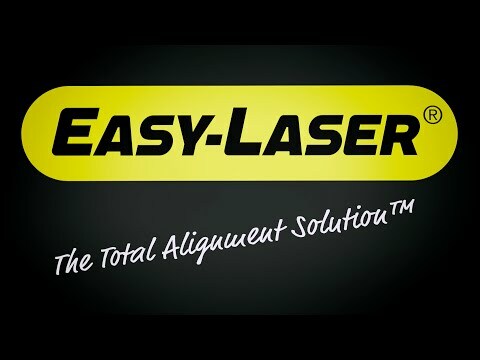 Easy-Laser® E720 is the all-in-one alignment solution for the maintenance technician and millwright. It does not just give you all the functions for shaft alignment, it also gives the opportunity to check the machine base and levelness. Machine set-up most often starts with the foundation. If the foundation is level and flat you will have less problems with the rest of the installation and alignment of the machine. With Easy-Laser® E720 customers are not only able to acquire the functions and features for the alignment of the machine, but also possibilities to perform measure the flatness of the foundation, check plane parallelism for several surfaces on large machines, measure flatness for a single machine foot support surface, align the foundation level and plumb, Align pipes straight and square. The measuring units included with system E720 uses point laser and PSD technology. This is the reason it can be used in so many more places in your operations than just to align the shafts of rotating machinery. Thanks to groundbreaking cross-platform technology, XT lets you display data on a multitude of different handheld devices, giving you the freedom to work with the gear that suits you and your company the best. To make this new generation as straightforward as possible we have included all XT measurement programs in a user-friendly application you can download for free. Easy-Laser® XT440 is the first member of our Generation XT alignment systems, built upon our new cross-platform technology. This means you will be able to display data on a multitude of different handheld devices, including our own XT11. 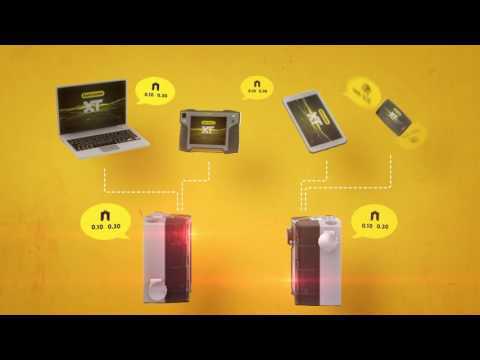 Further allows for the following benefits; display of data on multiple platforms, all XT programs in one free app, Maximum flexibility and rugged design.